When you are involved in an accident, in addition to your medical treatment and injuries, you may miss work as a result of your injuries. In those cases, you may be eligible to bring a claim as part of your case for all of the wages that you lost. You may even be able to bring a claim for future lost wages in the event that you’re going to need surgeries or other treatment down the line that is going to require you to be out of work. We will gather all of the information necessary in order to make it part of your case so that we can maximize your recovery. In a situation where you are unable to work as a result of your injuries, you may be eligible to apply for temporary disability insurance. This would only apply if you were not injured on the job, because in that case, your case would fall under workers’ compensation. When you apply for temporary disability, you must complete the application within 30 days of your accident in order to file your claim. It usually takes 14 days for the state to decide whether or not your claim will be accepted. 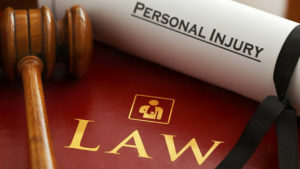 Though not being able to work as a result of your accident-related injuries is frustrating for many people, you shouldn’t have to worry too much about a complete loss of wages because you can generally recover at least a portion of your lost wages through your case and through temporary disability insurance.